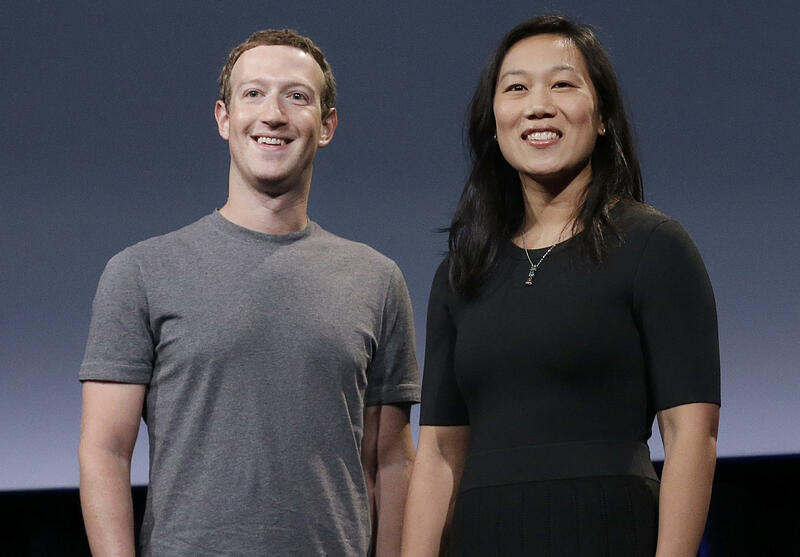 FILE: In this Tuesday, Sept. 20, 2016, photo, Facebook CEO Mark Zuckerberg and his wife, Priscilla Chan, smile as they prepare for a speech in San Francisco. MILLINOCKET, Maine _ The chairman of the Millinocket Town Council says it’s pretty powerful” that Facebook CEO Mark Zuckerberg chose to pay a visit to his town. Zuckerberg and his wife Priscilla Chan celebrated their fifth wedding anniversary on Friday in Bangor. On Saturday, they hiked some trails near Mount Katahdin and had a low-key visit with a group of residents and business leaders in Millinocket. Zuckerberg has been traveling the country with a goal of visiting all 50 states this year. By Sunday, they’d already left Maine and appeared in Newport, Rhode Island. Facebook CEO Mark Zuckerberg and his wife Priscilla Chan have spent a day hiking around Mount Katahdin in Maine and talking with local residents on their anniversary weekend. Zuckerberg said they met Saturday with former mill workers, teachers, small-business owners, a librarian and a trucker in the town of Millinocket. He said in a Facebook post that he was struck by their commitment to rebuild their community after the closing of paper mills that once drove the local economy. Zuckerberg has been traveling the country with a goal of visiting all 50 states.